Repeatedly an unfaithful servant to the systematizing and unifying impulses of aesthetics and philosophy, Fionn Meade will present a Proposition that will consider how and when artworks enact critique, and why this discernment involves an indispensable entanglement with historiography. To include reflections on Marcel Broodthaers, Rosemarie Trockel, and Group Material, as well as art historian Aby Warburg and writer Danilo Kiš, potential typologies will be outlined. Meade will be joined by artist Jesse Jones on Day Two of his Proposition. Fionn Meade is a curator and writer based in New York. 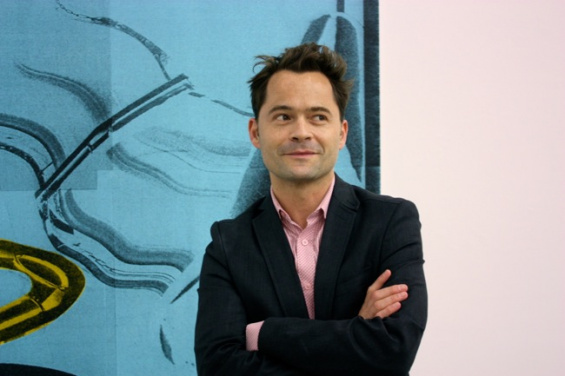 He has most recently been Curator at Sculpture Center, New York, where exhibitions include “Scene, Hold, Ballast,” with David Maljkovic and Lucy Skaer, “Knight’s Move,” a survey of new sculpture in New York, as well as the exhibitions “Time Again” and “Leopards in the Temple.” Additional recent curatorial projects include “Nachleben,” co-organized with Lucy Raven at the Goethe-Institut, New York, which engaged Aby Warburg’s thinking, and “After Images” at the Jewish Museum of Belgium, Brussels. He was previously a curator at the Henry Art Gallery, University of Washington, and worked with Tom Eccles on “Rachel Harrison: Consider the Lobster” and Maria Lind on “The Greenroom: Reconsidering the Documentary and Contemporary Art” at the Hessel Museum of Art and CCS Bard Galleries, Annandale on Hudson, New York. His writing has appeared in Artforum, Parkett, Mousse, Bomb, Bidoun, Modern Painters, and Spike Quarterly, among other publications. He was also the recipient of an Arts Writers Grant from Creative Capital and the Andy Warhol Foundation. Recent catalogue contributions include essays on Elad Lassry for the Kunsthalle Zürich (JRP/Ringier) and Mark Morrisroe for the Fotomuseum Winterthur (JRP/Ringier). He teaches in the MFA Program for Visual Arts, Columbia University, New York, and the Center for Curatorial Studies, Bard College, Annandale on Hudson, New York.